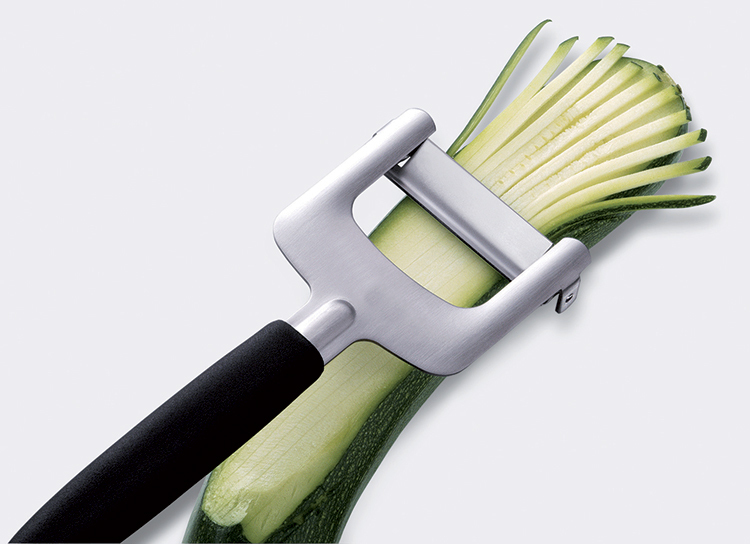 For cutting zucchini, carrots, cucumber, turnips, apples and pears... Apply gentle pressure to the julienne cutter and drow it along the lenght of the vegetable to be cut. Stainless steel and dishwasher safe.